This February, The Excitements are to embark on a joint THIS IS SOUL! 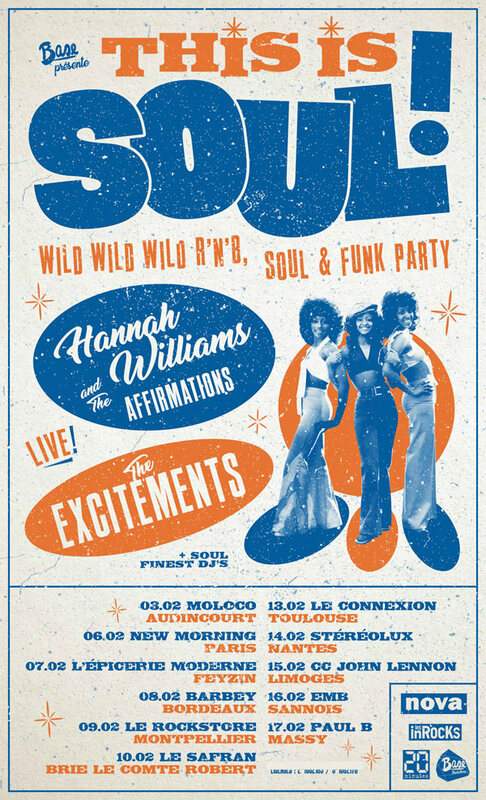 double bill tour with Hannah Williams and the Affirmations, for more than two weeks over France, which will include a full-on party on stage and after the shows! Get tickets for any of the gigs on our SHOWS section. Do not miss any of this amazing nights, it’ll be EPIC!